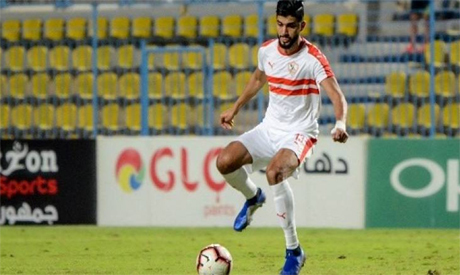 Zamalek's Tunisian midfield maestro Ferjani Sassi is confirmed to be out of action for six weeks after sustaining a foot splint bone injury during the 1-0 win over Morocco's Hassania Agadir in the CAF Confederation Cup on Sunday. "The primary diagnosis of Sassi's injury is that he suffers a foot splint bone injury," Zamalek football supervisor Amir Mortada Mansour was quoted as saying on the club's official website after the game. "Sassi will be out of action from four to six weeks and we will continue the medical follow-ups on the player's injury," he added. Zamalek, who booked their place in the CAF Confederation Cup semifinals after Sunday's victory, received an early blow during the game when linchpin Sassi, the team's primary source of creativity, was stretchered off after sustaining the injury. The Tunisian star thanked Zamalek's fans for their support and congratulated them on reaching the semifinals of the continent's secondary club competition. "I hope I will return to playing as soon as possible to continue competing with Zamalek and the Tunisian national team. Thanks to fans and congratulations on qualifying," Sassi wrote on his Twitter account after the game. Meanwhile, the Tunisian Football Federation (TFF) has released a statement commenting on the injury, asking Zamalek to allow the player to return home as they will follow up on his treatment to ensure that he will be ready for the 2019 African Cup of Nations. "Sassi suffers from a break in his heel and he needs a quick surgery," read a statement by the Tunisian FF. "The midfielder will be out of action for at least six weeks and he can train solo," the statement said. "We thank Zamalek's management for allowing Sassi to undergo his recovery programme in Tunisia as we are working to make him ready for the 2019 African Cup of Nations." The 2019 African Cup of Nations will start on 21 June and end on 19 July.